The Greenline 45 Fly will be introducing new propulsion, for speed demons and easier manoeuvring. 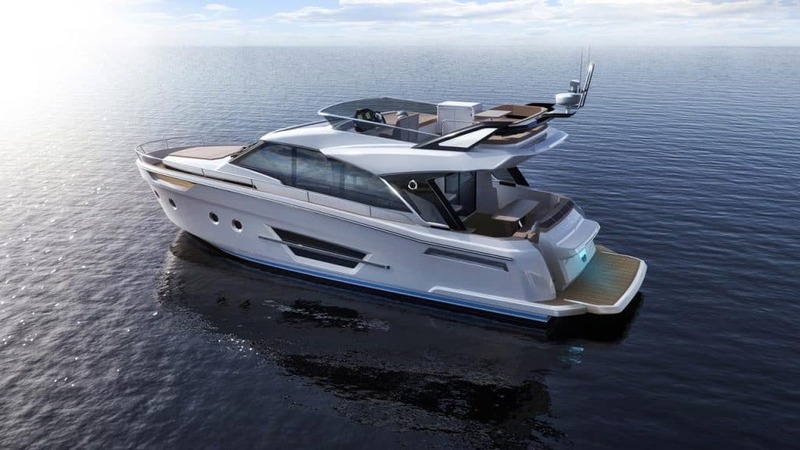 Sticking true to their environmentally friendly boating philosophy, the 45 Fly will be available with state of the art H-Drive,Hybrid technology where you can chose between electric engines cruising at 6kts and shaft diesel engines reaching speeds of 25kts with 2 x 370 HP. The 45 Fly is also introducing IPS with IPS 500 or IPS 600 setups where top speeds reach more than 30kts. Any Greenline with 2019 model year have AC power as standard and of course they have the battery power and solar panels to back it up. You will be blown away how comfortable and home-like a boat can be. The Flybridge features comfortable lounge and sunbathing areas, a two-seater bench and helmsman’s position topped off with a fully equipped wet bar. 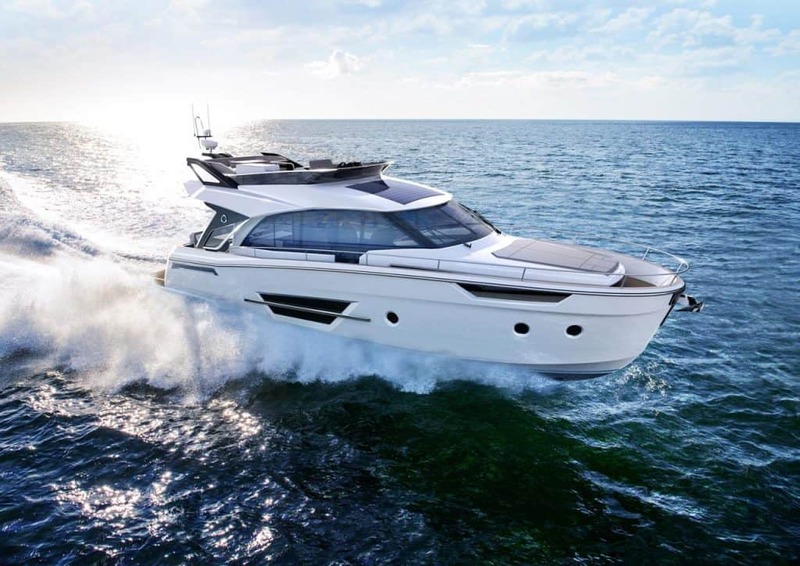 The 45 Fly now has the never been done, option to add a fixed Flybridge T-Top, tripling up the capacity of solar panels while making the entertaining ‘on the terrace’ even more appealing. The salon is comprised of a U-shaped lounge area with a settee facing to starboard and the helmsman’s position with a side door for easy single handed manoeuvring. Impressively designed cut-outs in the caprails enhance visibility from the VIP cabin in the bow area. Further forward on the bow deck lies anothersun lounge with an optional Bimini and anchor locker for access to the anchor roller and windlass. By far the best feature of this yacht is the mid-ship cabin with island king-size bed complemented by superior full beam portholes blessing the mid-ship cabin with magnificent view to both sides, creating a light atmosphere. World premier will be at the Düsseldorf boat show in January 2019 following by Miami Boat show in March and Palma de Mallorca in April.